2. Using QuantShare software and a ready-made downloader. Get Daily prices from Cryptocompare.com. To get intraday data you can take a look at the Crytocompare API and adapt this script. The last script will create one csv file for each coin. You can then import these files into your own software. I actually use QuantShare for analysis and backtesting and wrote a Cryptocompare downloader for it. 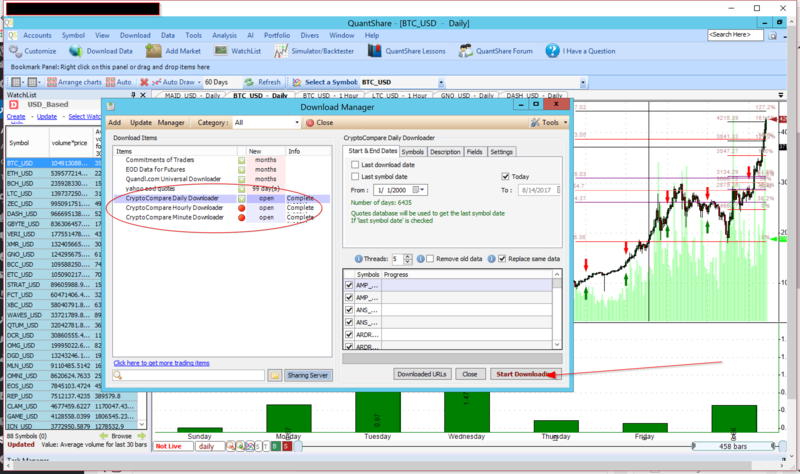 If you have QS the downloader is free from QS’s online trading objects library.